The GIS AG brand was founded in 1957 by two brothers, Alex & Beda Iseli. These Swiss manufacturers first began with precision mechanics, producing items for the Swiss army. 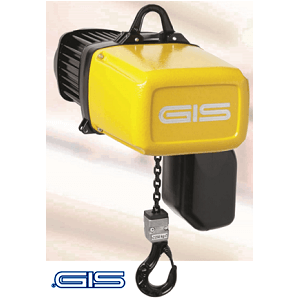 The first electric chain hoist was developed and launched in 1963 and was capable of lifting loads up to 500kg. In 1966 a subsidiary was formed in Germany as GIS GmbH to supply and support customers from Germany and surrounding countries. This branch incorporates both warehouses for stocks and workshops for repairs and servicing. Since 2010 GIS AG is managed by CEO Ivan Muri who was previously in charge of development processes. Development of the electric hoists continued and new models were quickly added with much higher lifting capacities. 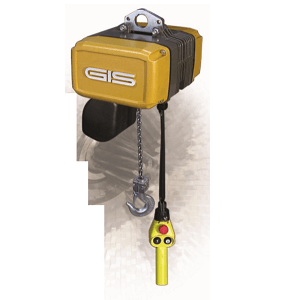 Gis is now known worldwide for their high quality lifting solutions, and their products are extremely reliable. They use a highly automated production system to guarantee the highest precision. Gis also pride themselves in taking on apprentices and teaching them their knowledge to continue the development for future generations. 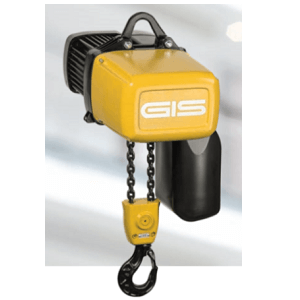 GIS electric chain hoists are now in their 4th generation of innovative development, continually learning and working with the latest technology. Gis supply their products to many industries including plastics, engineering, sewage plants, building areas, agriculture, metal and steel works, pharmaceutical, entertainment industry and many more.